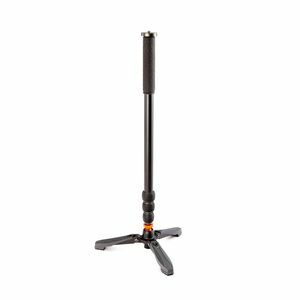 Trent, is a rock star amongst boy-bands, he is a solid and stable monopod whilst providing a rugged and ultra-tall solution to your photographic needs, this kit also comes with the Docz foot spreader. Constructed and precision engineered from aircraft-grade magnesium alloy, with a maximum tube diameter of 29mm, Trent is like a rock. Trent's full extended height is a massive 2m (without Docz, 2.09m with), capable of lateral loads as well as vertical, he can also be used as a boom for cameras or microphones. 3 Legged Thing's unique Bubble Grip technology provides maximum grip for ultimate security, and water dispersion. A spring assembly at the top enables the 3/8"-16 thread to retract below the 1/4"-20 thread encased within. At the foot is a 3/8"-16 thread, with a 1/4"-20 adapter sleeve. Trent can support weights of almost 50 times his own weight - with a 30 kg payload, Trent is capable of supporting even the heaviest of camera equipment. Trent has a detachable rubber Boot, which can be replaced with any of our foot accessories. This kit includes the Docz Foot Stabiliser from 3 Legged Thing. Unlike other foot spreaders, Docz has a single boot on the underside which prevents the unit from flexing when pressure is applied. With an adjustable drag, Dcz can be tensioned to suit, or the dual lock at the top can stop all movement. 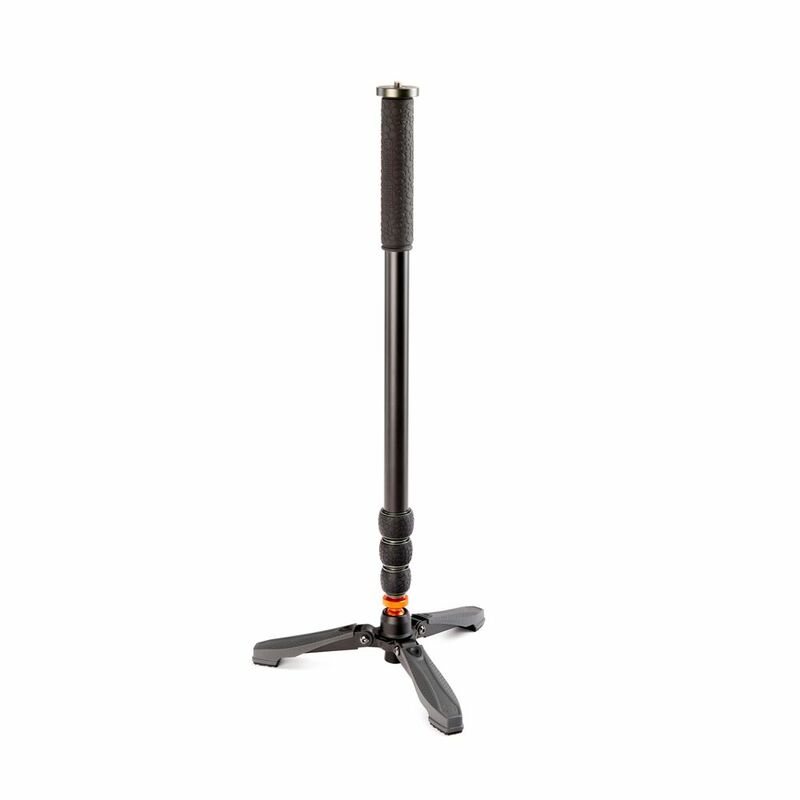 Monopod Only: 2.03m / 80"
With Docz: 2.09m / 82.3"
Monopod Only: 61cm / 24"
With Docz: 67cm / 26.4"